But strange as the journey may be, it's nowhere near as strange as what they will find waiting at its end. One of the lesser known novels by Jules Verne, but certainly a novel that is worth reading, An Antarctic Mystery or The Sphinx of the Ice Fields is a fictional travelogue that describes the narrator's adventures as he travels from Kerguelen Islands, a group of islands in the Indian Ocean, towards the South Pole. The novel is the account of the journey made by Jeorling, a rich American who has been studying the wildlife on Kerguelen Islands and is now looking for a way to return to America. However, the journey cannot be that straight—the ship that Jeorling travels by meets an iceberg with a dead body on it and they find a note indicating that some of the crew of the Jane, Pym's ship might still be alive, so Jeorling and the crew of his ship go to find out if that is true. The journey is, of course, full of adventures and mysteries, some of which get solved by the end of the book, while others remain mysteries for good, to be solved by the reader's imagination. 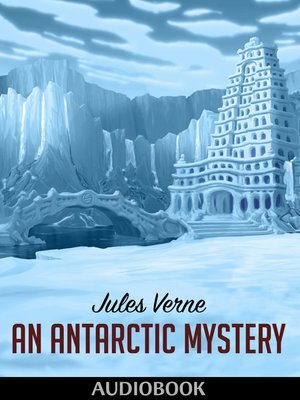 An Antarctic Mystery comes with all features that make Verne so fascinating. The narrative is as detailed as any of the more famous Verne novels, it unfolds in the typical rhythm and there are just as many detailed and scientific descriptions. The book leaves a lot to the reader's fantasy, too—written in an age when not much was known about the South Pole and many scientists still believed in the existence of an open sea beyond the ice barrier, this unknown territory makes the perfect setting for a fictional travel book.